Seizing every opportunity to dive into dessert isn’t always ideal, particularly if you struggle with poor body image, portion control, intense cravings or diabetes. But I value Bombeck’s point. Sugary sweets, while unnecessary from a nutritional standpoint, fit well within an overall healthy diet. And depriving ourselves can have serious negative consequences. 2. Eat more whole foods overall. Eating more whole foods, like vegetables, fruits, whole grains, nuts, fish and legumes, helps keep our nutritional wellness, overall health and appetites in check. You’ll hopefully feel less guilty when you do indulge and can rest assured that those treats are unlikely to cause harm. 3. Please your eye, not just your tummy. Which looks more appealing to you? 4. Eat mindfully. We get the most taste and pleasure out of the first few bites, so take your time—with those especially. Sit down to eat in a pleasant atmosphere* with few distractions (yes, even your cell phone). Observe the colors, flavors, textures and aromas. And take…your…time. 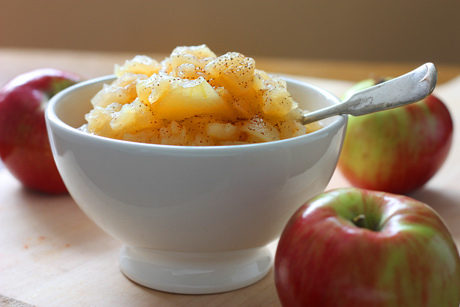 Mindful eating promotes improved digestion, moods and weight control. *If you struggle with overeating, purchase single-size portions. Via last week’s bodacious blogger post, the cake honoring Kourtney Heinz won hands down. As promised, here is the recipe. 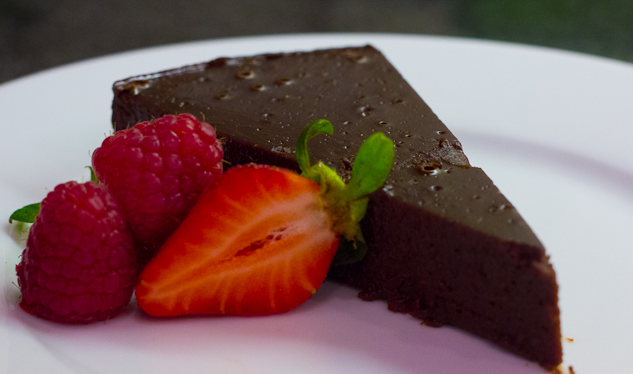 This decadent torte is scrumptious, filling, simple to make and lots healthier than typical flourless choco-creations. For a lighter batch, swap out the butter/oil for 1/2 cup mashed banana. 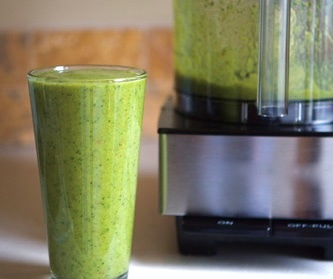 For more fiber, replace butter/oil with 1/2 cup pureed avocado, and load on the berries. Grease a round or square 8” pan with oil or butter. Preheat oven to 375 degrees F. Melt the baking chocolate and butter/oil on your stovetop over low to medium heat, stirring until smooth. Set it aside. 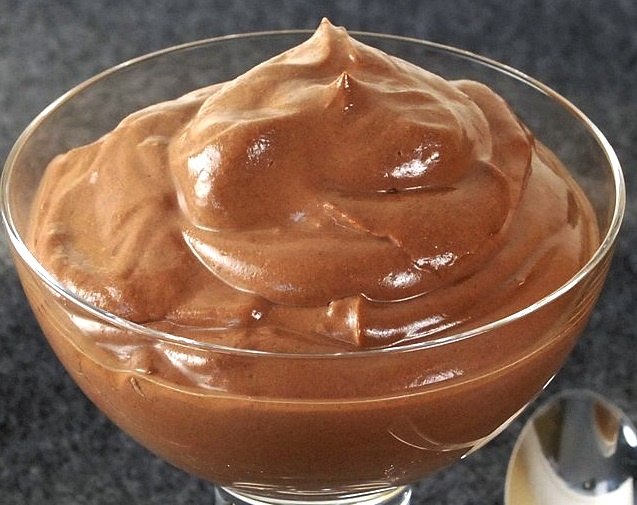 Combine remaining ingredients in a medium-size bowl, then add the melted chocolate. 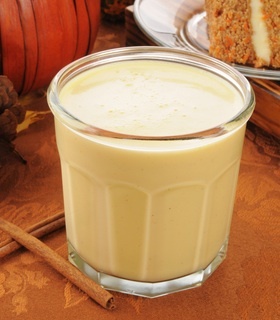 Whisk by hand or with an electric mixer until well-blended. Bake for about 20 minutes, or until the center seems firm. 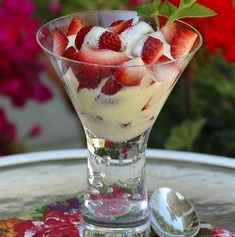 After it cools, serve cake in small slices, topped with fresh berries. Add mint for a pretty, fresh-smelling garnish. Bon appetit! 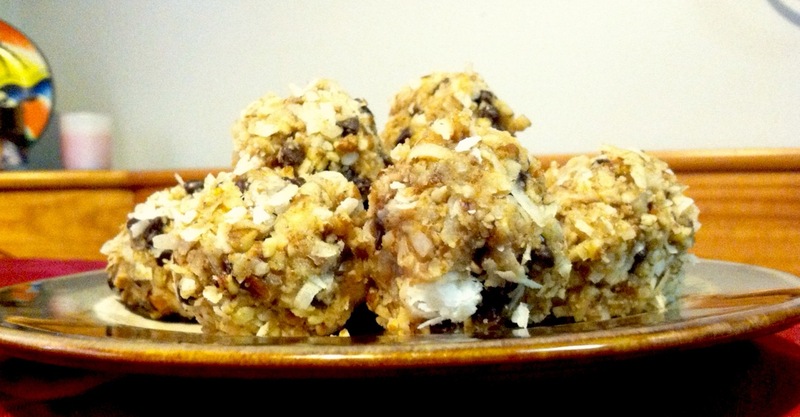 Do you have a positive relationship with sweets? Or are they vicious villains, in your book? 😉 Any questions or tips to add? I LOVE hearing your thoughts. Don’t worry. If you answered ‘yes,’ you’re not alone. More likely, you’re normal. 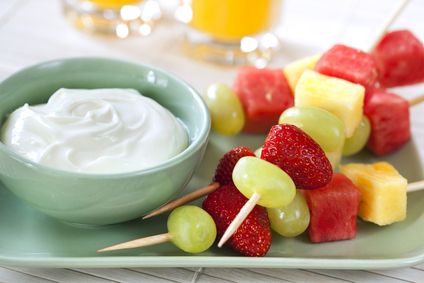 😉 Healthy snack habits can not only prevent mood mayhem, but help keep our brains sharp and energy high between meals. Choosing mostly whole foods, like fruits, vegetables, whole grains, nuts and seeds, also boosts our overall nutrient intake and physical health. (Sign me up, right???) Whether you’re a veteran healthy eater or taking initial baby steps, exploring a variety of nutritious snacks can go a long way toward fulfilling your physical and emotional appetites. The first time I attempted whole grain cinnamon rolls, they came out like little brown hockey pucks, only harder. But hey, they were nutritious. Slather on some frosting and bon appetit! Sort of. I happen to like grainy, dense foods. But I and my stomach continued to dream of soft, doughy, healthy Cinnabon-style treats most anyone would enjoy. The kind you instantly crave at the airport. One whif and OH MAN…!!! Okay, enough confectionary lusting. Several attempts later and I’ve done it, I think. If you try them, please share your thoughts! 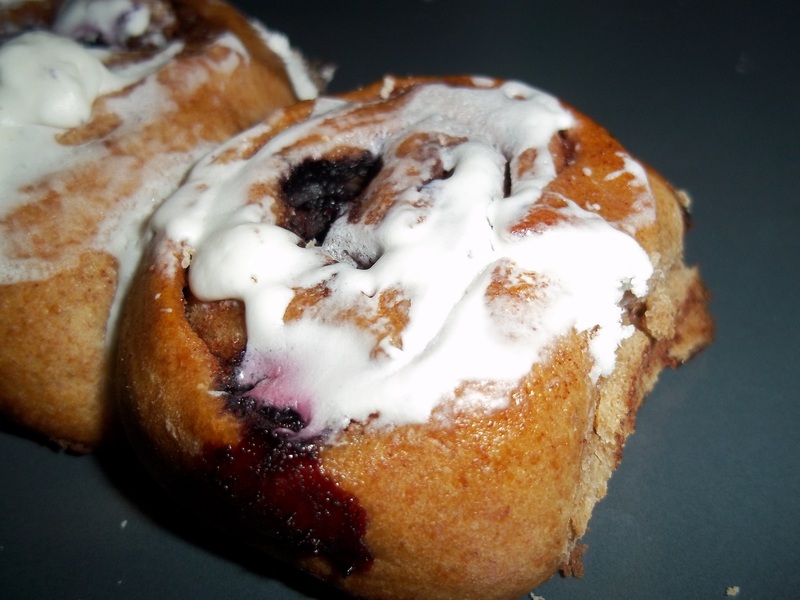 CINNAMON ROLLS WITH WHOLE GRAINS, BLUEBERRIES AND LOTSA YUM! Mix together the brown sugar and cinnamon. Set it aside for later. 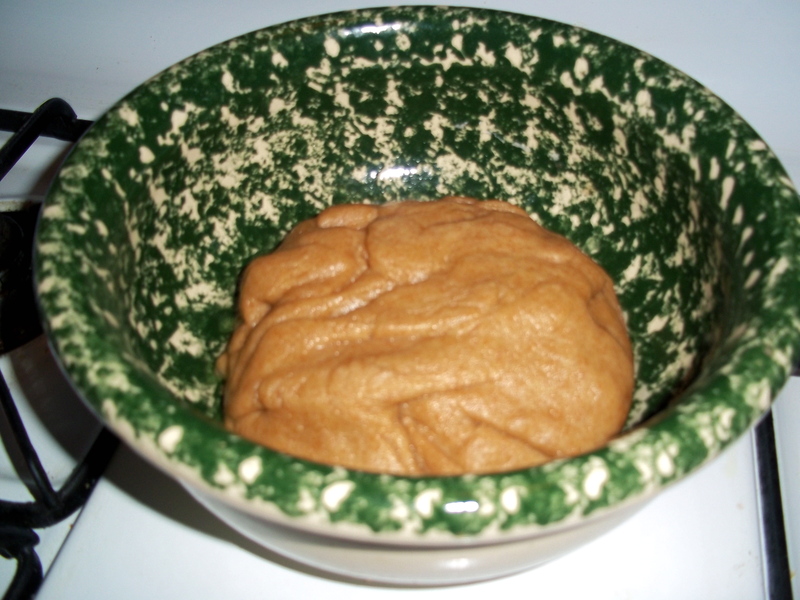 In a small bowl or mug, dissolve yeast and 1 tsp sugar in warm water. If it looks like this (EW), add flour. It should look more like this—doughy and firm, not sticky or crumbly. Think…elastic. 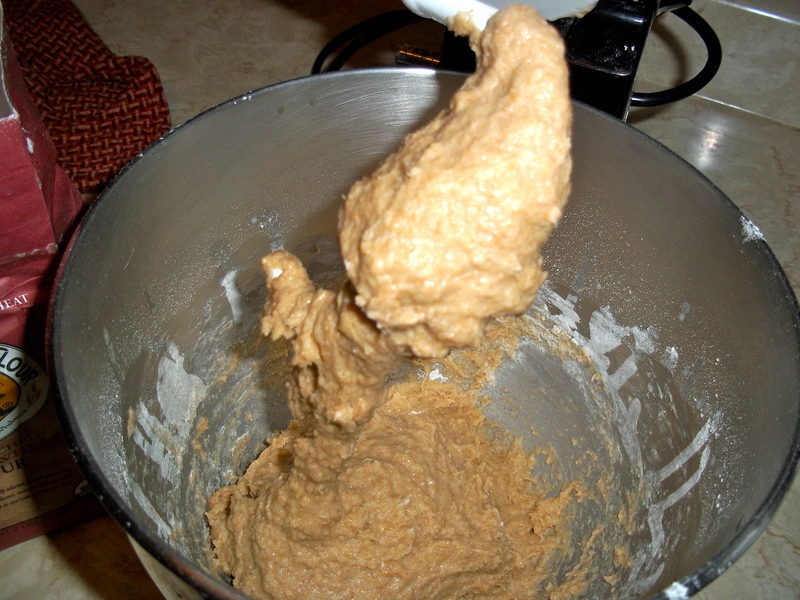 Place dough into a large greased bowl. Cover with a thin cloth and allow it to rise someplace warm, like under your overhead oven light, until doubled in size—about 1 to 1 1/2 hours. Brush the softened butter over the dough. Sprinkle on the cinnamon and brown sugar mixture then the blueberries. Coat the bottom of a baking pan with nonstick cooking spray or canola oil. (Whatever size floats your fancy.) Place the rolls close together in the pan. Bake at 350 degrees for 25 – 30 minutes or until golden brown. Top with frosting, if desired. **I frost only the ones we’ll eat right away. Otherwise, the frosting soaks in. Serving the frosting on-the-side gives partakers the option of extra sweet or none at all. If you’d like some festive music to accompany your baking adventures, check out EVERY DAY IS CHRISTMAS. It’s available for viewing/listening here and for purchase on iTunes. Proceeds benefit the National Center for Adult Literacy. Earlier this year, I had the honor of interviewing Maya Angelou about her new cookbook, Great Food, All Day Long. To say I look up to the woman is about as accurate as saying Minnesota is ‘sort of’ cold in December—a major understatement. As I considered what to post this Thanksgiving week, nothing seemed more appropriate than sharing her insight. Angelou approaches conversations with strangers, even so-nervous-they-could-pee-on-the-floor journalists ;), food, cooking and daily life with incredible poignance, dignity and grace. With food, family gatherings and feasting upon us, we can all stand to take a few tips. It should come as no surprise that one of the most influential voices of contemporary literature brings poise, intention and palpable joy to her kitchen. 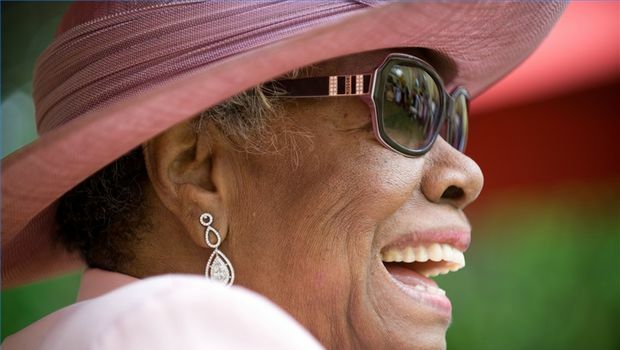 Dr. Maya Angelou, the 82-year-old renaissance woman known for her dramatic prose, activism and passion for the arts, history, education and civil rights, has had a lifelong love affair with all things culinary. Angelou’s food fervor met challenges when a medical exam revealed serious risks for hypertension and diabetes. She had to lose weight. Her first attempt at healthy eating involved replacing decadent ingredients with low-calorie alternatives. She prepared and ate every recipe in her latest cookbook, “Great Food, All Day Long: Cook Splendidly, Eat Smart,” and relished every bite. Meanwhile, her weight-related health concerns diminished. Simply paging through her cookbook is enough to push your salivary glands into overdrive. Recipes such as chicken tetrazzini, barbecued spare ribs, pumpkin soup and “all day and all night” cornbread are interwoven with heart-warming stories and personal insight. In her typical way, Angelou draws you into not only her kitchen, but her life. Rather than abide by diet rules, Angelou recommends listening to and fulfilling your cravings. If your taste buds are screaming for fried chicken and you sit down to a T-bone steak, you’re liable to eat the entire steak — and perhaps seconds. In her book, Angelou observes that people often keep eating long after they’re full. “I think they are searching in their plates not for a myth, but for a taste, which seems to elude them,” she writes. For this reason, her recipes aren’t divided into meal-specific categories, but instead organized by themes like “A Brand-New Look at Old Leftovers” and “Waking up the Taste Buds.” The result? A cookbook geared toward fulfilling moment-to-moment cravings, rather than following the established mealtime norms. Have fried rice for breakfast, if you want, or her omelet with spinach for dinner. All bets are off. One of Angelou’s most beloved culinary experiences involves a youth favorite: the “simple everyday” hot dog. However, she’s developed a version for a grown up palate. Angelou tops a grilled, Hebrew International hot dog with her homemade chili. “Then I get a cold, frozen beer stein out of the freezer and open a wonderful freezing bottle of Corona beer. It doesn’t get much better than that,” she said. To this end, she suggests planning meals beforehand to avoid stressful rushing around while cooking. Sit down to enjoy meals in a peaceful, pleasing atmosphere. And don’t reserve your best dishes, silverware or food for guests. Because that’s precisely what she craved. Eat sitting down at a table, no in front of your TV or worse, standing in front of your fridge. Before eating, take a moment to observe the smells, colors and overall presentation of the food. Cook! Preparing dishes automatically promotes mindfulness; you’re involved in the process and understand the effort required. Cut back on mealtime distractions, such as your cell phone, laptop, TV, radio, newspaper, etc. Volunteer at a soup kitchen, Meals on Wheels or local shelter. Rather than view food in terms of calories or fat grams, consider what foods and nutrients do for your body…and the pleasure food brings. Say a prayer of gratitude, religious or not, before meals. So what do you say? Will you invite mindfulness to your next feast? How has Maya Angelou influenced you in your life? Your writing? We all make mistakes. Some teach us valuable lessons. Others, we wish never happened. Happy mistakes are serendipitous. Jonathan: This is the ultimate blend to drink. How’d you find this place? Sara: I first came in because of the name: Serendipity. It’s one of my favorite words. Sara: It’s such a nice sounding word for what it means: a fortunate accident. The other night after placing a pan of banana bread in the oven, I had that “something’s not right…” feeling. Eggs. Completely forgot them. Rather than take the loaf out and scramble some in (not that I’ve done so before…or anything…), I left it. It still looked banana-bread-ish, after all. I threw in a few chocolate chips, because most everything tastes better with chocolate, and chalked it up to an experiment. Everyone who’s tried it has gone nutso over it. Gotta admit, I dig it, too. 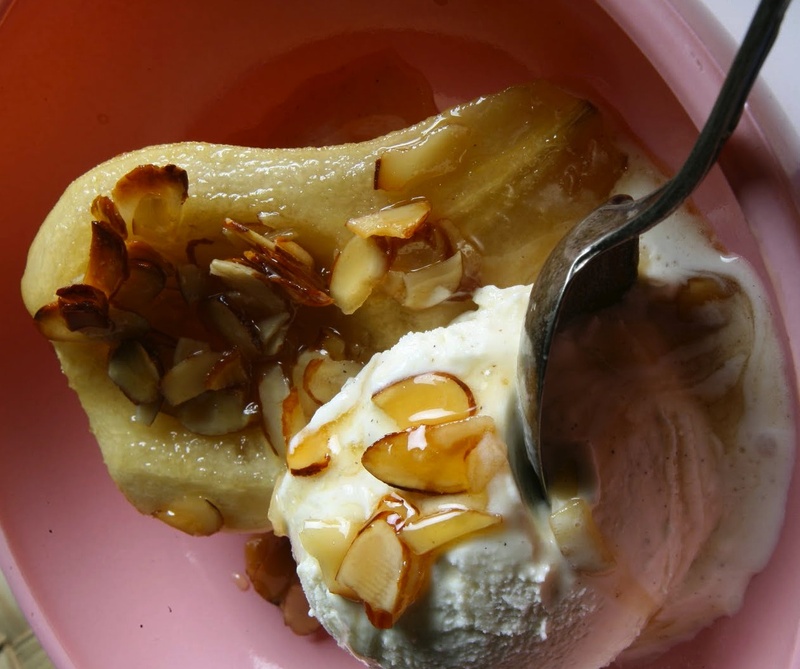 So…next time life gives you brown bananas, but perhaps no eggs, why not bake this? *To make a healthy buttermilk substitute, place 1 tbsp of vinegar in a half-cup measuring cup, then fill it to the top with low-fat milk. 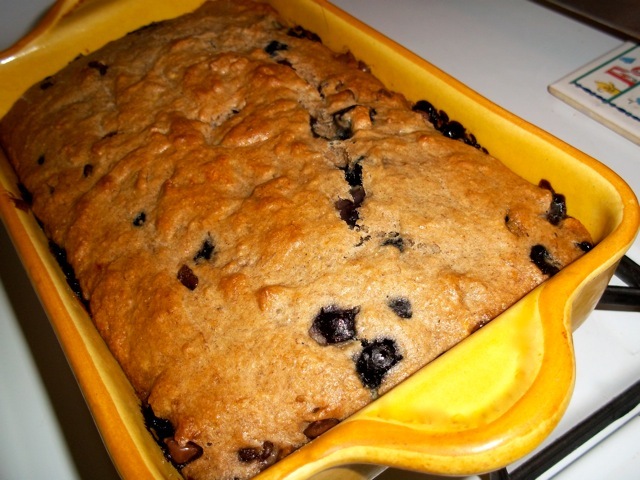 Preheat your oven to 350 degrees F. Coat a standard-size loaf pan with nonstick cooking spray. Stir flour, baking soda and salt together in a large bowl. 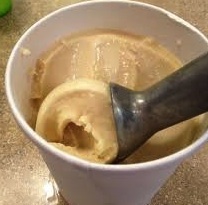 Add the brown sugar.In a medium bowl, combine oil, milk/vinegar mixture, vanilla extract and mashed bananas. Add this mixture to the dry ingredients. Gently stir in the blueberries. Pour batter into the pan. If desired, sprinkle the chocolate chips on top. Bake for 50-60 minutes or until a toothpick placed in the center comes out clean. 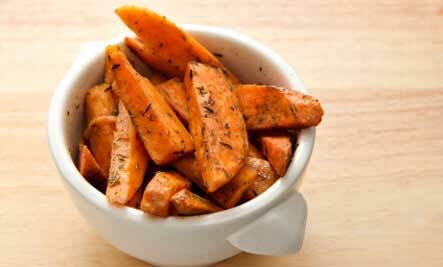 Nutritional perks: Rich in fiber and antioxidants, low in sugar and saturated fat and cholesterol-free. The canola oil adds healthy omega-3 fatty acids, which play an important role in brain function and moods.